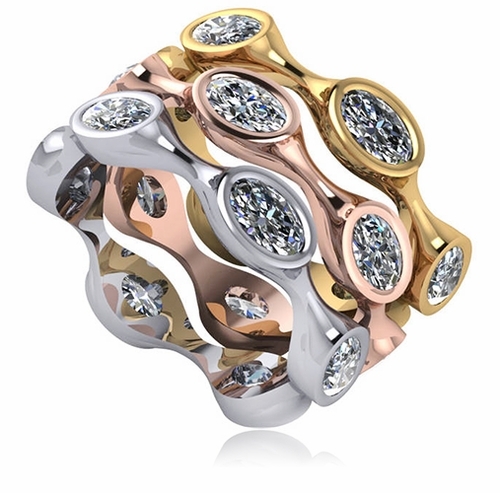 Shalamar Oval Bezel Stackable Eternity Band Cubic Zirconia Wedding Ring features 5mm x 3mm ovals set in a uniquely styled setting. Each 5x3mm oval is the finest hand cut and hand polished original Russian formula lab created laboratory grown diamond quality cubic zirconia available. The shank measures approximately 4.6mm at its widest point. 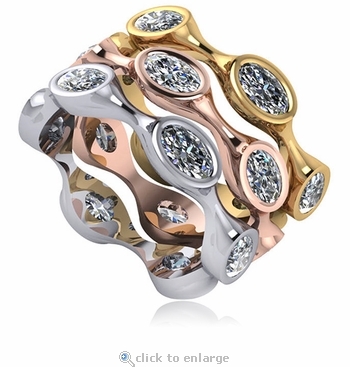 Center stone colors include man made ruby red, sapphire blue, emerald green and diamond look canary yellow and pink cubic zirconia. 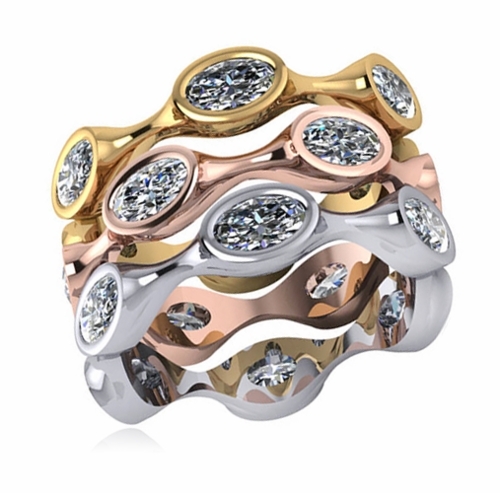 Choose from a solid 14k white gold, 14k yellow gold, 14k rose gold, 18k white gold, 18k yellow gold or luxurious platinum mounting. 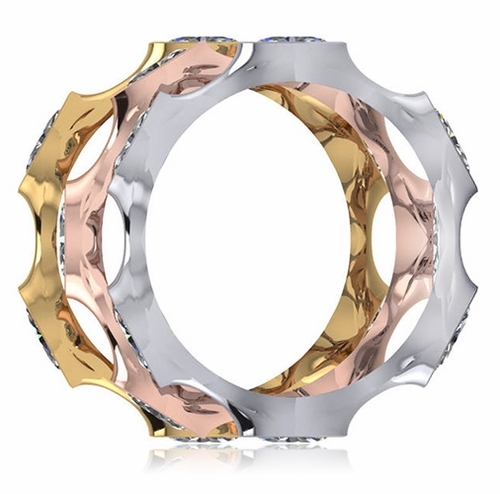 These make great stackable wedding rings that can be mixed and matched with stone colors and metal options. Finger sizes 5 through 8 and metal options are listed in the pull down menu. Each band is sold separately. For further assistance, please call us directly at 866-942-6663 or visit us via live chat and speak with a knowledgeable representative.